48 Page eBook in PDF format. 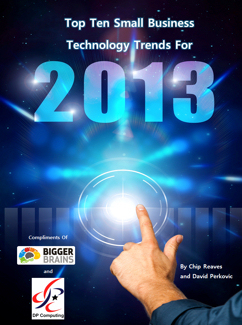 Click on the this link for your free copy of our 48 page eBook on the top technology trends for 2013. Let us know below in the comments what you think? Its an Appy, Appy World. + 5 actionable steps for each chapter. Download it today to get a head start start on your competitors!